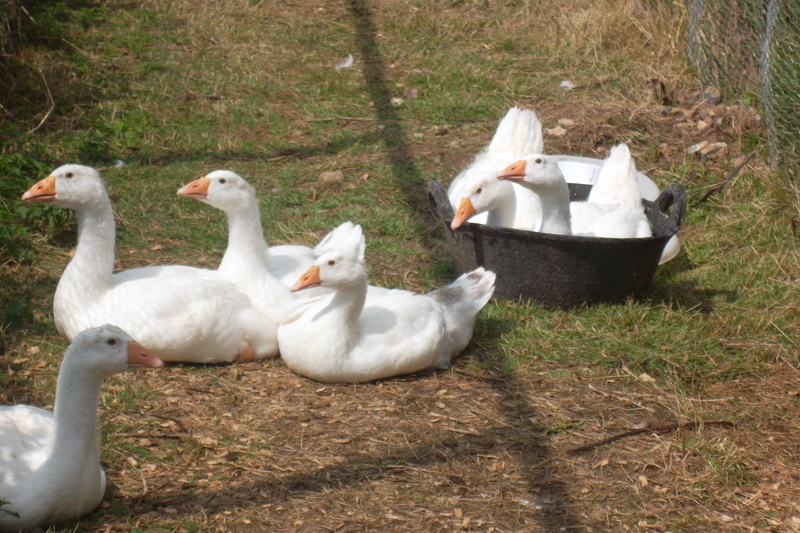 when the weather is fine and all the students and staff are hopefully having a well-earned break, life at the farm continues to be busy – and hasn’t it been busy for the first couple of weeks. As well as Andrea and Pete who are on call 24/7, our loyal band of volunteers continue to do their morning duty. 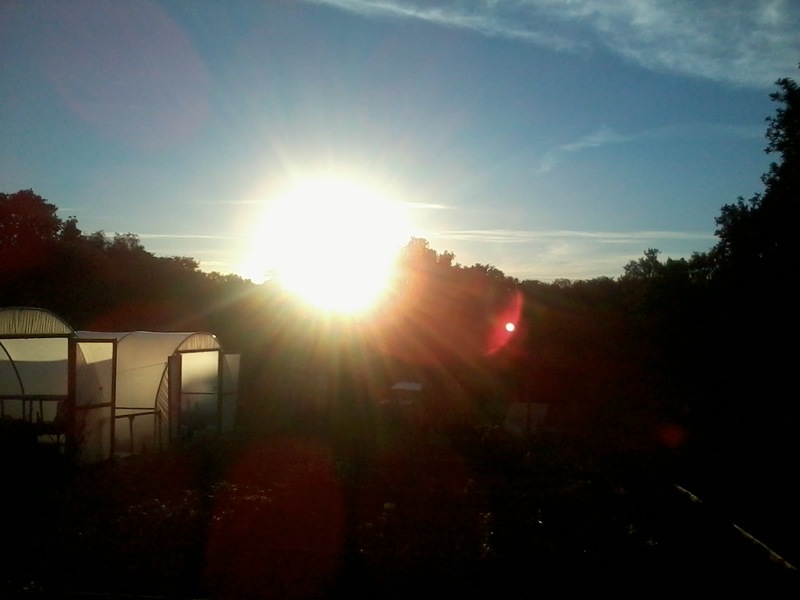 This involves not only feeding and checking the welfare of the Geese, ducks, ducklings, hens (and cockerels), pigs, cows and sheep but watering of the numerous plants in the poly tunnels. A big thank you to all of them for their continued support, it is very much appreciated. 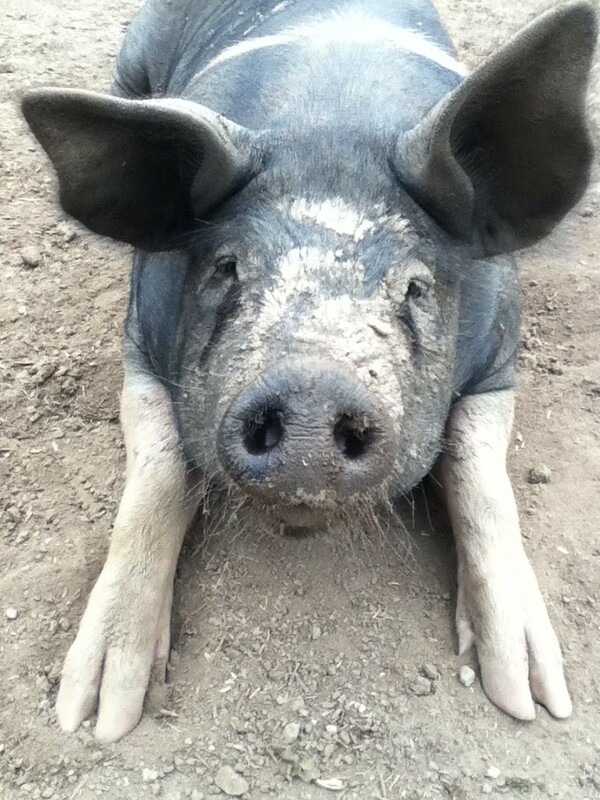 Stumpy, waiting for her dinner! 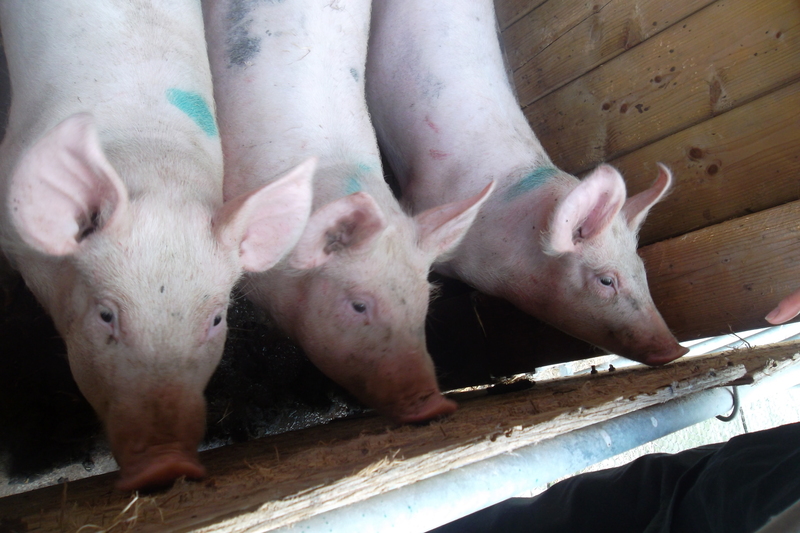 Friday 1st August, saw the arrival of 4 new piglets/weaners which Andrea and Pete picked up at the Exeter market. (Photo below). They are currently settling in and will be out in their paddock shortly. It has been a busy few weeks on the bee front too. The bees have produced an amazing amount of honey and we have been extracting it from the hive. I will let the expert fill you in on the details. Thanks Cheryl. 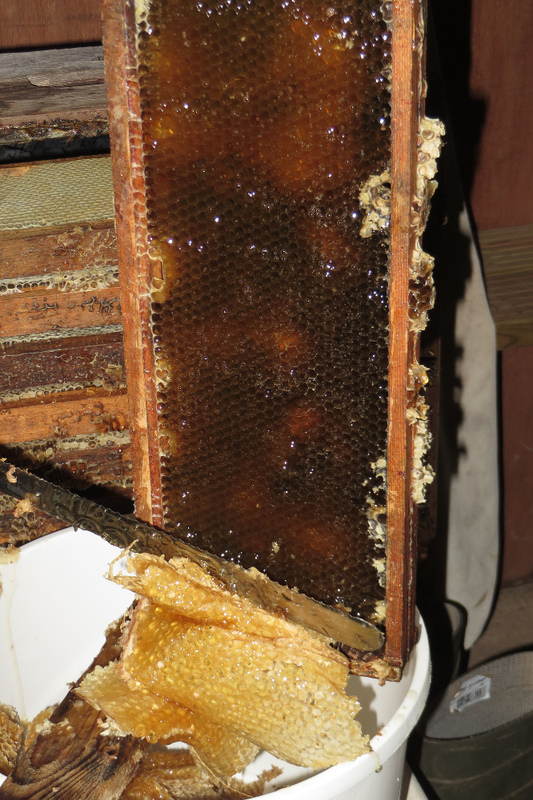 After a warm July there was a lot of honey in the two beehives – but how much isn’t certain until it’s harvested. Then it’s time to harvest the honey. 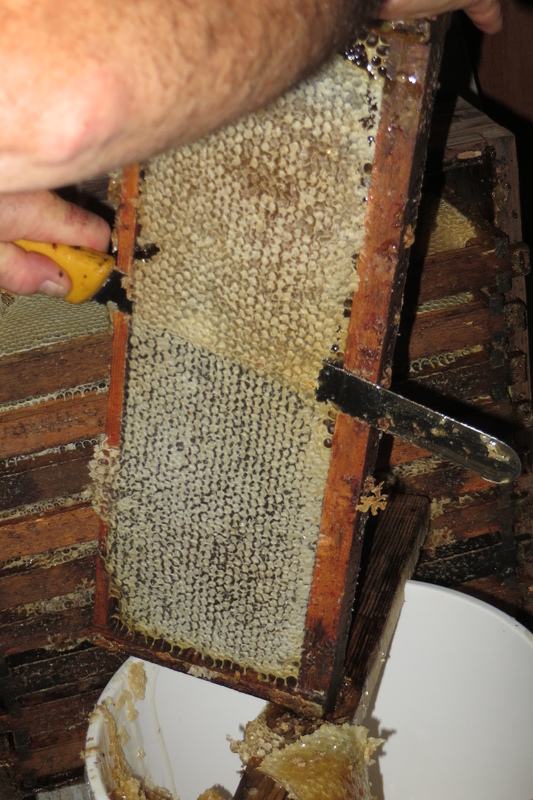 Each comb has to be uncapped with a knife (the cappings are made of beeswax and also collected – you can see them in the bucket). Frames are a exact shape so that this can be done evenly. 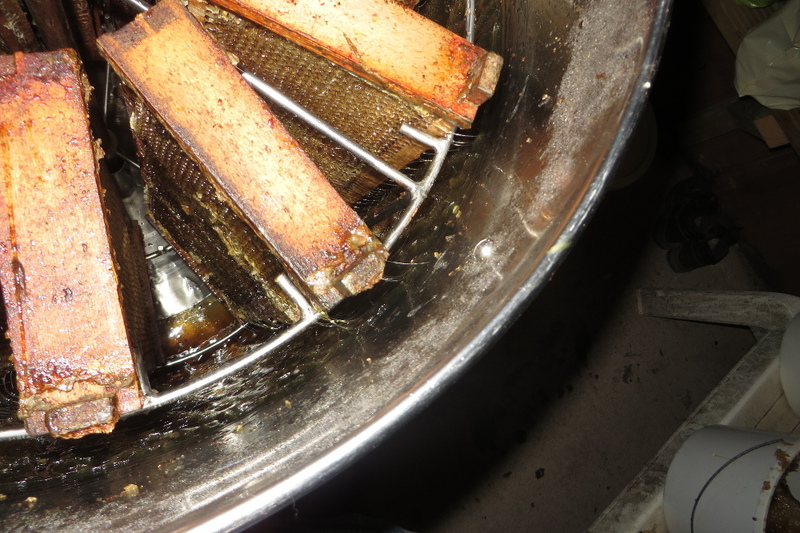 We put the uncapped combs into the extractor, spun them, the honey flies out (you can just see that in happening the picture), collects in the extractor and we run it into a bucket then through a filter into the honey tank. It’s left there for a while for bubbles to slowly rise and then the crystal clear honey is put either into bottles for sale or buckets for long term storage. Fairly simple but very sticky! And the bees find their way in (well, it is ‘their’ honey) and gradually the room fills up with bees so we can only harvest the honey in small batches. How much honey did we get in the end? 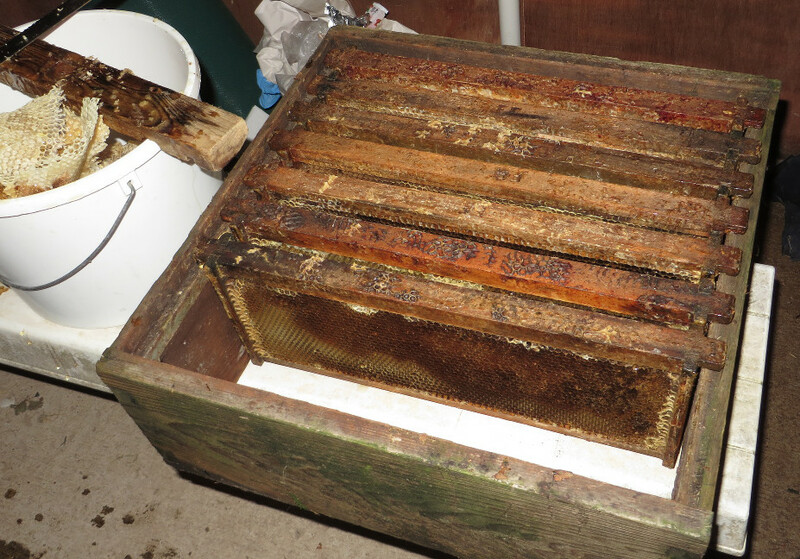 It looks like about 45kg from the two hives. That’s a little under what might be expected from strong beehives in such a good summer, but one hive did swarm so we lost some honey gathering bees, and we also made up several new colonies as well. All in all its been a very productive beekeeping season. 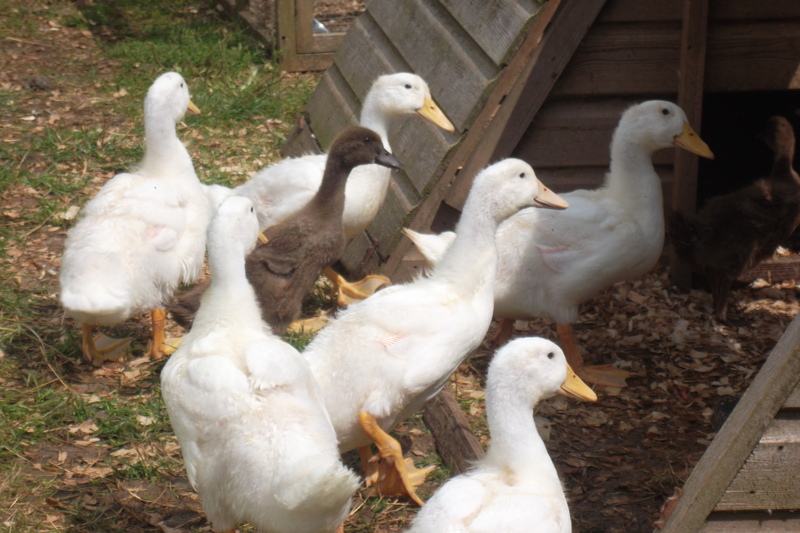 This entry was posted in bees, ducks, geese, pigs and tagged bees, DUCKS, geese, Pigs by abbrookfarm. Bookmark the permalink.